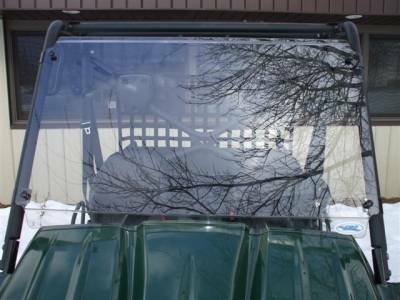 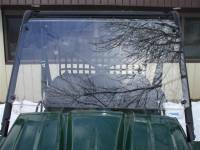 Full Windshield is made from 1/4" (6 mm) thick polycarbonate (Lexan). 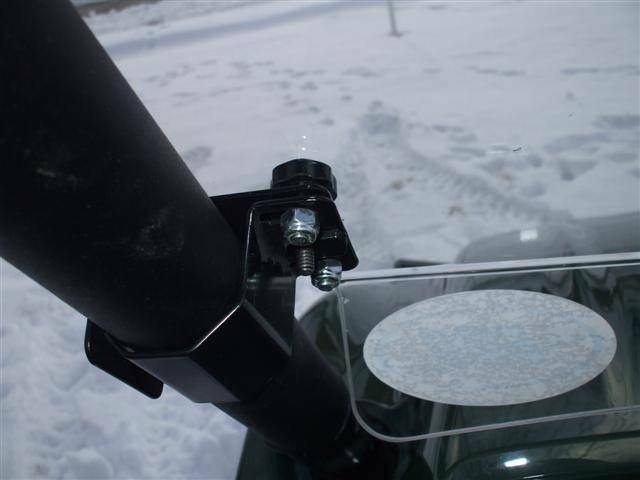 Formed on the top & bottom to add strength without additional weight. 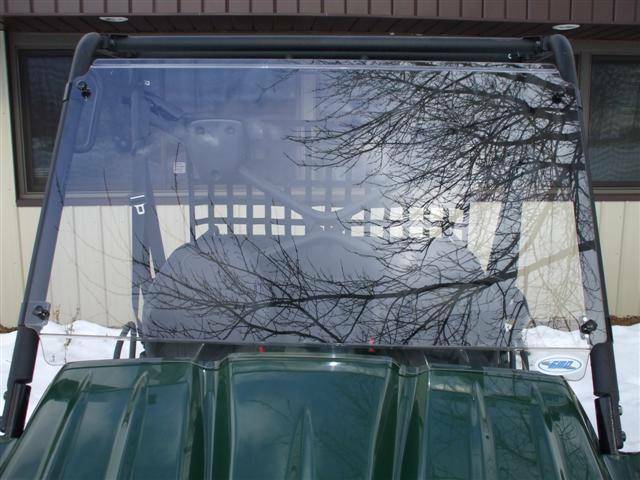 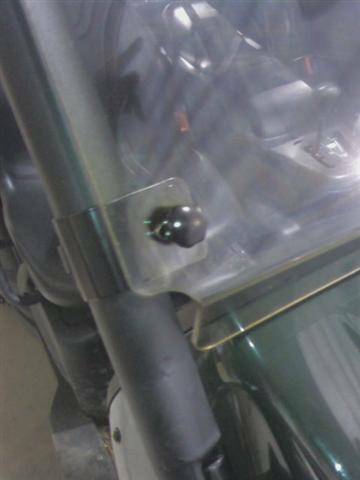 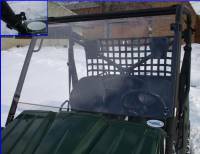 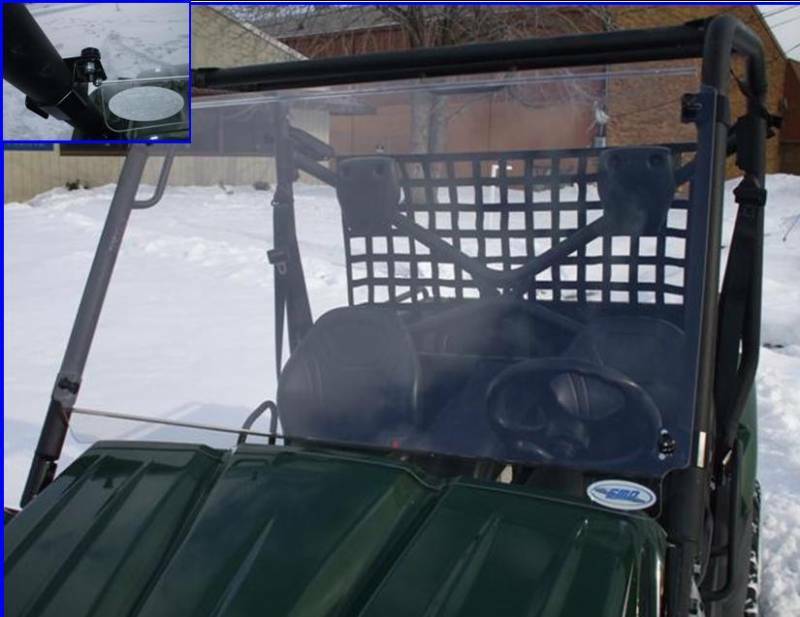 Quick clamps are made special for the Teryx tubing and allow you to easily remove the windshield without any tools.